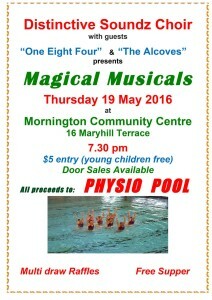 Distinctive Soundz Choir with guests ‘One Eight Four’ and ‘The Alcoves’ presents Magical Musicals. It is on 7:30pm Thursday 19 May at the Mornington Community Centre, 16 Maryhill Terrace. There is a $5 entry fee (young children free) with door sales available. Show your support and make sure you get along to this event, all proceeds are going to the Physio Pool! 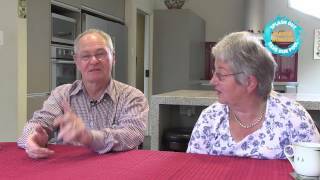 Trust Secretary-Treasurer Neville Martin was interviewed on Channel 39 Dunedin Television on 27th April to explain what is happening with the lease for the Physio Pool. The Otago Therapeutic Pool Trust continues to work with the SDHB to obtain a long term lease of the Physio Pool. This process involves approval from the Ministry of Health because of the length of term being sought and the plan to redevelop Dunedin Hospital. As the Ministry is unlikely to complete the plan until mid-2017 it is unlikely to approve a lease until then. However, there would be significant progress if the Ministry could confirm soon, rather than in mid-2017, that whatever redevelopment was envisaged for the hospital the site of the Physio Pool would be unaffected. While this period of uncertainty continues the trust is now approaching the organisations which have offered grants for the upgrade to explain the need for extensions of time in which to draw on them. The trust is also drawing on funds donated by the public to assist with operating costs. Therefore, for the Physio Pool to remain open to the public it is important that people support it by using it and donating money for operating costs. 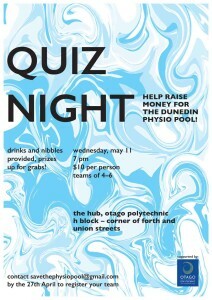 The first year Otago Polytechnic Occupational Therapy Students have organised a quiz night to help raise money for the pool. All proceeds from ticket sales and raffles on the night will go the Physio Pool! Its on at 7pm on Wednesday 11th May at the Otago Polytechnic Hub (corner of Forth & Union Street). $10 per person, teams of 4-6 people. Nibbles and non-alcoholic drinks are provided and there will be some great prizes up for grabs. To register your team email savethephysiopool@gmail.com by the 27th April. The Physio Pool is re-opening on Monday 18th January. The pool upgrade is postponed until an acceptable lease is in place. The Trust is working hard towards finalising the lease with the Southern DHB and expects to have conclusion on the matter in the next couple of months. The pool will remain open until the planned upgrade work starts. 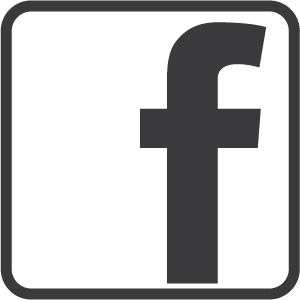 Show your support for our Physio Pool by using our Social Media graphics – Facebook, Twitter, Google+ and Instagram available to download free of charge. 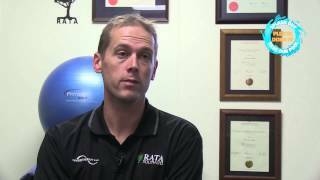 If you can link back to www.physiopool.org.nz when you upload the images, even better! The fundraising for the upgrade of facilities and the operating costs has reached $1.1 million. Many individuals and organisations have supported the fundraising effort. Whilst the trust has not yet reached its fundraising target of $1.5 million it has made sufficient progress to be able to proceed with arranging a long term lease of the pool and upgrading the facilities. The fundraising must continue, particularly to cover the operating costs. The Trust encourages more people and organisations to donate money. It is also looking for assistance from the business community and is offering sponsorship opportunities. If anyone knows of businesses which could support the pool in this way they should contact the Trust. 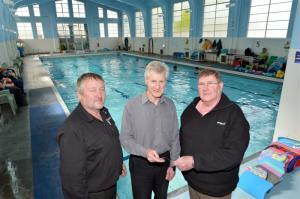 The Trust is now working on a long term lease of the pool from the SDHB. It is hoped that the detail will be agreed by the end of this year. The Trust is also working on the planning and implementation of the upgrade of the pool facilities. It is intended that most, if not all, work will be carried out at the beginning of next year. It is likely that the work will take around three months to complete. The pool will be closed during this time. It is important that pool users continue to use the pool and encourage others to use it. The last day that the pool will be open this year is Sunday 20 December. 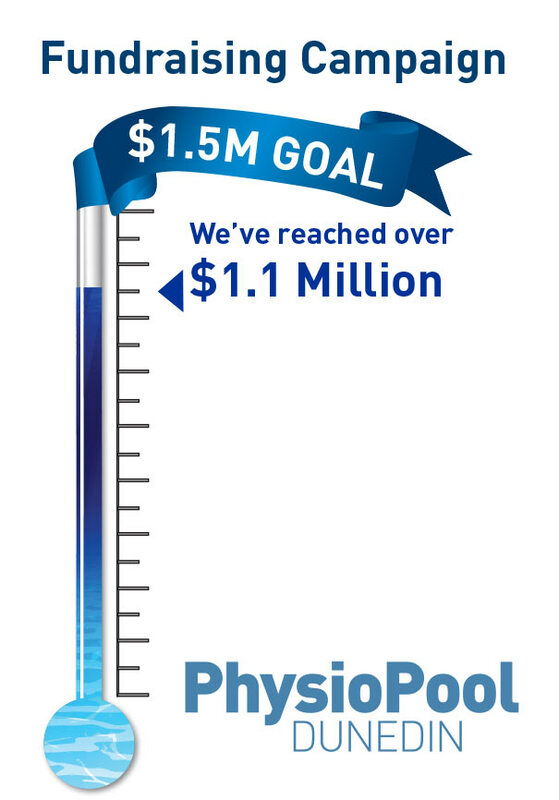 The total raised to save the Physio Pool is now over $1.1 million. Thank you to everyone who has donated, everyone who has organised or come along to fundraising events and to those who have been using the pool! It is all getting us closer to our $1.5 million goal! We still need your help to reach the fundraising goal, so spread the word, keep using the pool and come along to our fundraising events – the Otago Country Music Club fundraiser this Sunday and the Aquathon next Saturday. You can donate here. The Otago Country Music Club is supporting the Physio Pool by holding a fundraising afternoon with raffles and afternoon tea. It is on Sunday 8th November at 2pm to 6pm in their club rooms at 33 Skerries Street, Outram (one street behind the Outram Dairy). There will be a $5.00 entry fee and some great entertainment. All are welcome to attend this fundraising event. The Physio Pool has received a $4000 donation which was raised at the Autospectacular held last month. Chris Stichman, president of the Otago Early Falcon Fairlane Club and Russell Gilchrist, president of the Otago Classic Motoring Club presented the donation to Otago Therapeutic Trust secretary-treasurer Neville Martin at the pool on Friday. The fundraising tally is now more than $1.1 million. Read the full ODT article here. Chris Stichman, Neville Martin and Russell Gilchrist.